It has been four long years since the Stanley Cup took up residence in Montreal, a circumstance that is completely unacceptable to the general population of Canada’s largest city. The lengthy drought caused a major shakeup in the Habs’ front office this past off-season, and new General Manager Sam Pollock thinks he has the formula that will return the Canadiens back to hockey supremacy. In Hector “Toe” Blake’s ninth season as the Montreal mentor, the Canadiens finished first, albeit by the narrowest of margins, one point ahead of second place Chicago. The bad news is, for the fourth consecutive season Montreal made an early playoff exit, losing in the first round. This time it was to arch-rival Toronto in an exciting seven-game series. The 1963-64 regular season has to be considered a success, despite the first round playoff loss. Montreal was the best defensive team in the league and second in goals scored. The scoring balance throughout Montreal’s lineup is what gave the Canadiens an edge over Chicago, as did their depth on defence. Jean Beliveau led the Canadiens in scoring with 78 points, 28 of them goals. Four other players cracked the 20-goal barrier, including Bobby Rousseau, Dave Balon, Gilles Tremblay and Bernie Geoffrion. Rookie tough guy John Ferguson chipped in with 18 goals and defensive ace Claude Provost had 15. On the blue line, the Canadiens four regulars were extremely adept at taking care of business in their own zone. What made this so interesting is that three of the four are under 25 years of age. Jacques Laperriere, 21, played with the poise and confidence of a veteran. J.C. Tremblay, not a physical sort at 24, was a master at lugging the puck out of the defensive zone, and is a pin-point passer. Terry Harper, 23, has a few rough edges but he keeps the area in front of the Montreal goal clear of loose pucks and unattended opponents, and plays with grit and determination. The elder statesman of the group is Jean-Guy Talbot, a member of Montreal’s five consecutive Stanley Cup wins in the 50’s. He’s only 31. The Habs seem set on defence for a good long time. The most unanticipated part of Montreal’s first-place finish last season was the goaltending. The Canadiens had acquired Lorne “Gump” Worsley in the summer from the New York Rangers in the major trade that sent Jacques Plante to Broadway. The Gumper wasn’t effective early on and surprisingly lost his starting job to little Charlie Hodge. 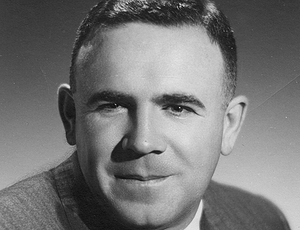 Hodge had been in the Montreal chain since 1951 but never managed to make it as a regular until last season. Hodge took the ball and ran with it early, leading the club to their first place finish and winning the Vezina Trophy along the way. Charlie played well in the playoff series against Toronto and couldn’t be faulted for the loss to the Leafs. New GM Sam Pollock could be considered the Canadiens’ biggest off-season addition. Pollock went into the NHL’s summer meetings confident in the knowledge that the Canadiens were coming off a first-place finish and really had no glaring weaknesses that needed shoring up or holes that had to be filled. Rumours were flying around at the annual summer conclave that the Canadiens were eager to dump Gump Worsley, as Pollock was very comfortable with Hodge’s work. The most consistent rumour had the Habs sending Worsley to Detroit to back up young Roger Crozier, talks that seemed to intensify after Toronto took Terry Sawchuk off the Red Wings’ hands. 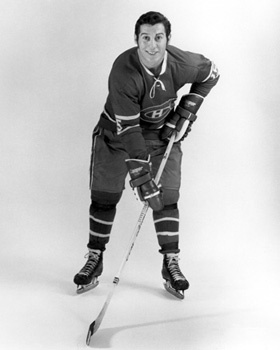 However, the Wings wouldn’t bite on the bait that the Habs were offering, especially when Pollock’s asking price was Wings’ young forward Larry Jeffrey. Pollock also tried to unload Worsley to Toronto, but the Leafs, knowing that Worsley would not be protected in the draft, refused to part with a live body when they knew they could simply get him for cash in the draft. So although he struck out on the trade market, Pollock wasn’t terribly concerned, given the riches Montreal possesses down on the farm. Even with the retirement of Bernie (Boom Boom) Geoffrion, Pollock knew he had several young right-wingers ready to step in and replace the Boomer’s contributions. The Canadiens’ farm system is second to none in the NHL and if you doubt that, just have a look at their roster. Only two players who are likely to enjoy regular employment with the big club this year were acquired from other organizations. There is a host of youngsters waiting in line for jobs, and with Geoffrion’s departure, at least one significant spot has opened up. The two early leaders to replace Geoffrion are both rookies – 20-year old Yvan Cournoyer and Claude Larose, who is about 10 months older. Cournoyer is a speedy little guy who looks like a waterbug flitting around the ice surface. He scored four goals in a five-game trial late last season and has been lighting the lamp with regularity during the exhibition schedule. At 5-7, he might be a bit small by NHL standards, but the burly John Ferguson has already gone on record saying he would be more than happy to play on the rookie’s line to keep any thugs from taking advantage of the talented youngster. Larose, a six-footer from Hearst, Ontario, near the Quebec border, plays a different game than Cournoyer. He scored 27 goals in only 47 games for Omaha in the CPHL last season, while compiling over 100 penalty minutes. He got into 21 games with Montreal, but only managed to score once. Larose is an industrious worker, likes to use the body and forechecks tirelessly. He has good hands around the net and once he gains big-league confidence, he’s projected to be a decent offensive player. Other forwards who are getting a good look at training camp are Keith McCreary, Leon Rochefort and Garry Peters. McCreary is 24, and scored 25 goals for Hershey in the AHL last season. Rochefort isn’t technically a rookie because he has played 26 NHL games between the New York Rangers and Montreal. He’s getting a shot at Geoffrion’s spot after a 27-goal campaign for Quebec in the AHL in 63-64. Peters is only 21, a product of the Regina Pats. He turned pro with Omaha of the Central Pro league last year and had a great season, scoring 32 goals and adding 49 assists. He’s considered a can’t-miss prospect, but will need more seasoning, likely at the AHL level this year. On defence, the Canadiens plan on promoting big Teddy Harris, who was an all-star with Cleveland of the AHL last season. Harris was picked up in a trade with Springfield of the AHL in the summer of 1963 and was sent to Cleveland, where he had an outstanding year, proving he’s ready for the NHL. He has been very good during exhibition games and should break camp with the Habs. His physicality and generally antagonistic disposition guarantees that he’s going to see regular action before very long. One other rookie who has shown the ability to keep up to NHL competition is Jim Roberts. He is strictly a defensive specialist, and has the ability to play either forward or back on the blue line. He is a superb penalty killer and quite likely will be very useful as a swing man, playing where ever he’s needed. Roberts is 24 and played in four different cities last season. 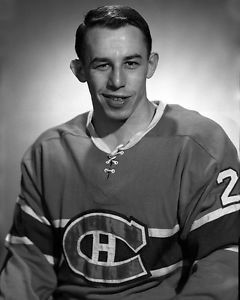 He spent the bulk of the year at Omaha, with cups of coffee in Cleveland and Quebec in the AHL, along with 15 games with the Canadiens. With very few, if any, weak spots the Montreal Canadiens have to be considered as contenders in the 1964-65 season. Their unique brand of firewagon hockey, now dependant on throughout-the-lineup depth rather than individual superstar performances, will be difficult to deal with, even on their off-nights. Toe Blake has to find a way for the team to shift to that extra gear once playoff time rolls around. The Canadiens, with good reason, continue to be considered among the NHL’s elite. It’s difficult to envision a team with this much depth and talent to be anywhere but in one of the top two spots when the smoke clears on the upcoming season. But it will be up to coach Blake to get them over that four-year hump and on to the promised land.